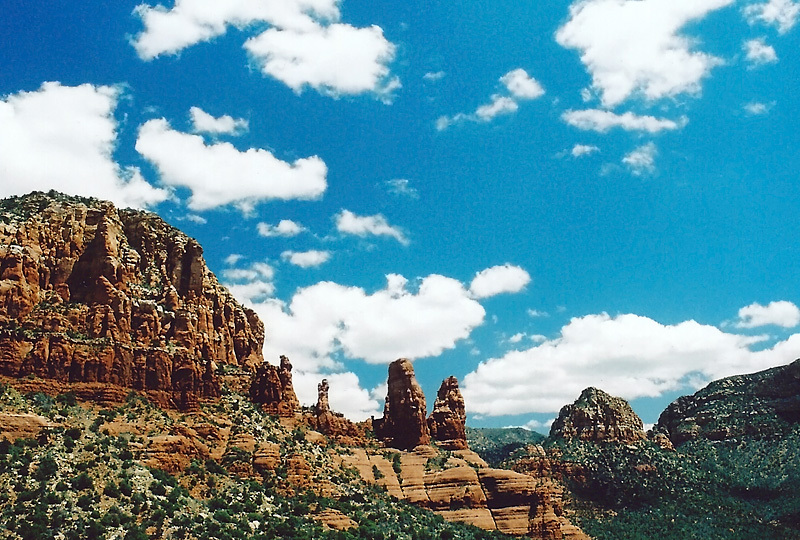 See also Grand Canyon, Petrified Forest, and Saguaro National Parks. 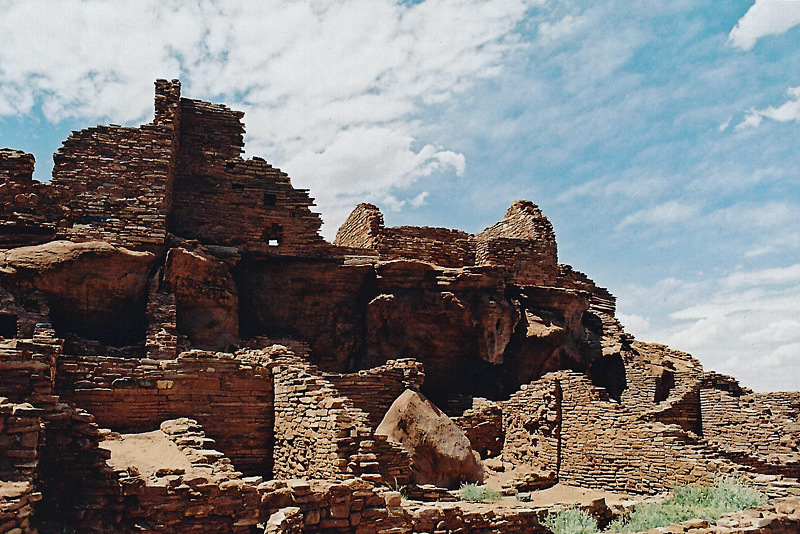 Wupatki National Monument, near Flagstaff, features a short trail through a 100-room pueblo with a community room and ballcourt. 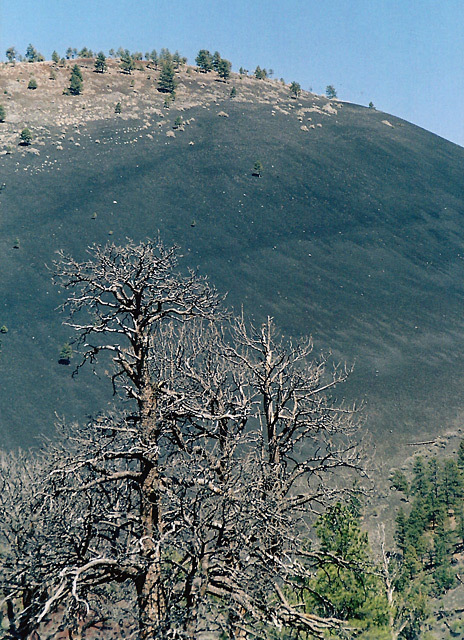 Sunset Crater Volcano National Monument, also near Flagstaff, has a self-guided loop trail which explores the volcanic landscape at the base of Sunset Crater Volcano. 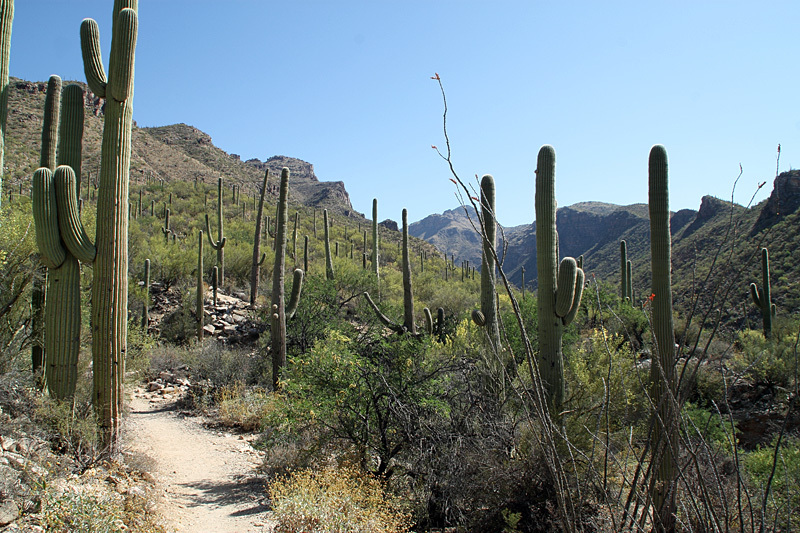 The Sabino Canyon Recreation Area, a part of the Coronado National Forest, is just outside of Tucson with many excellent hiking options. 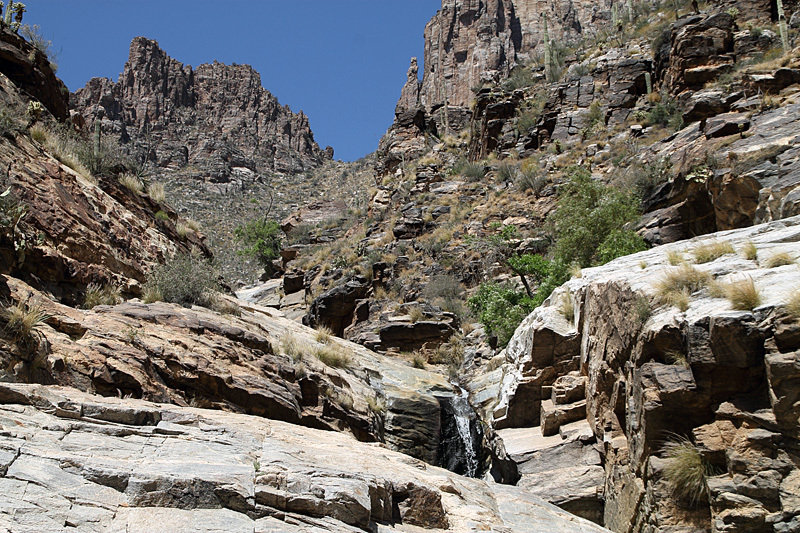 A moderate half-day hike, starting from the Bear Canyon overlook, will take you to Seven Falls. 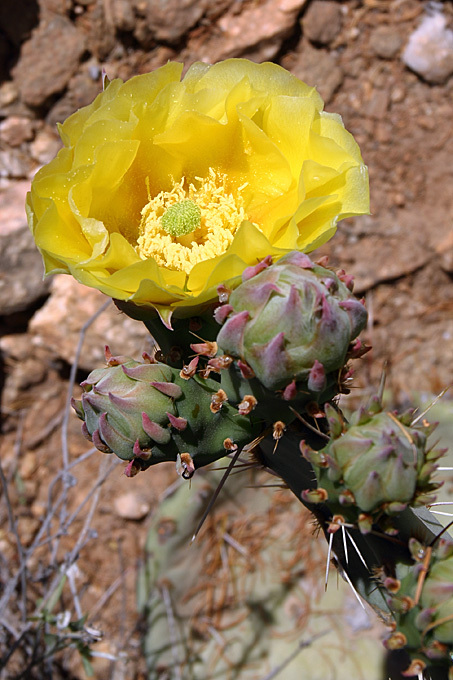 This Prickly Pear was blooming at the Bear Canyon Overlook in mid-April. 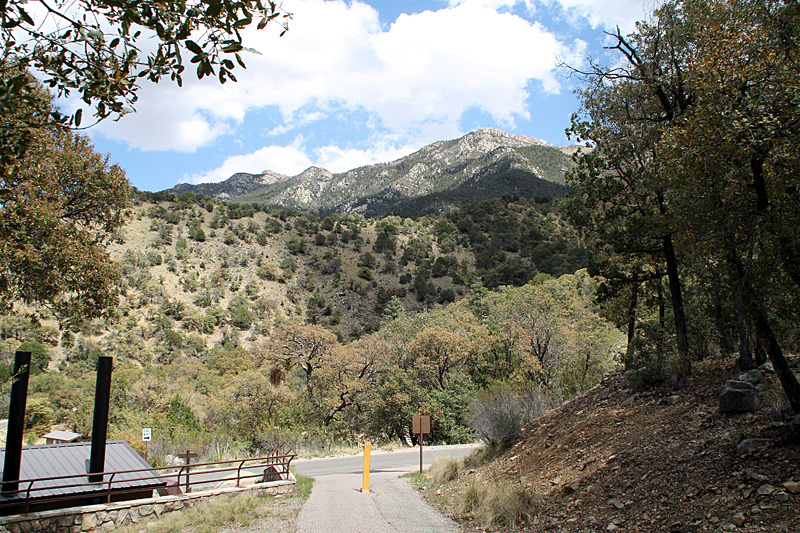 Madera Canyon, also part of the Coronado National Forest, is about an hour drive south of Tucson and known for its excellent bird-watching. 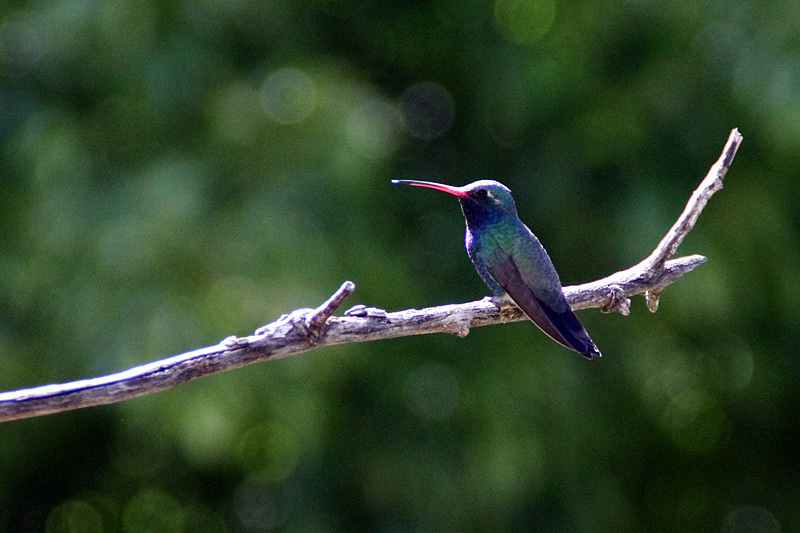 Here's a Broad-billed Hummingbird, a view from the Mt. 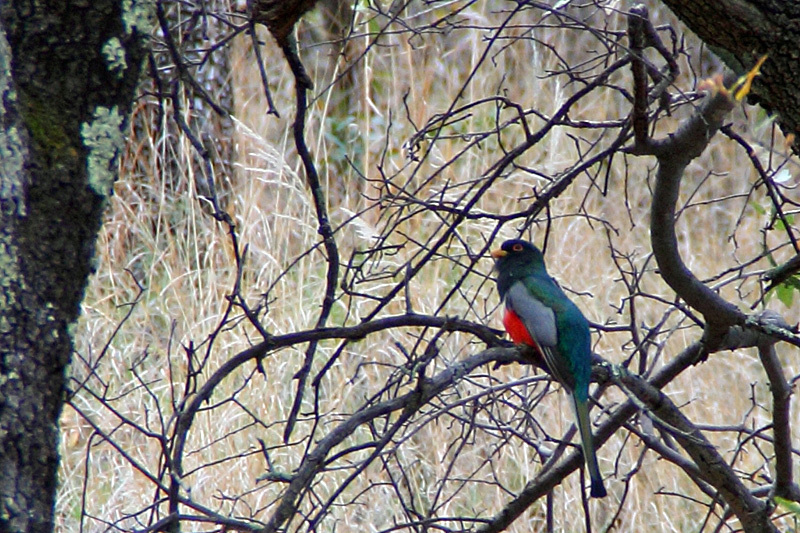 Wrightson Picnic Area and an Elegant Trogon. 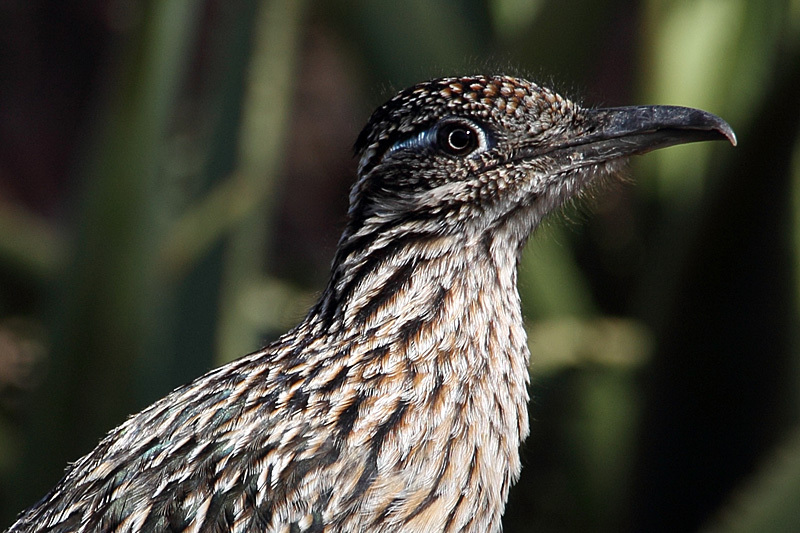 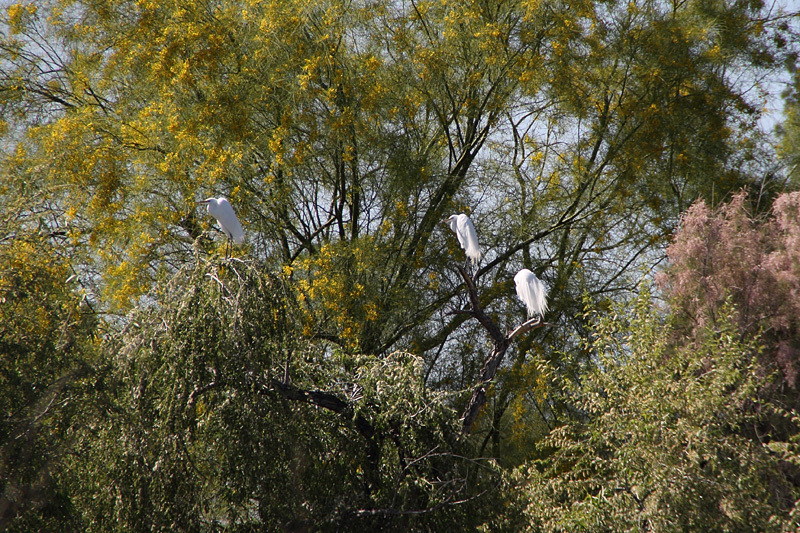 Sweetwater Wetlands Park in Tucson is an oasis in the desert and a magnet for a large variety of birds. 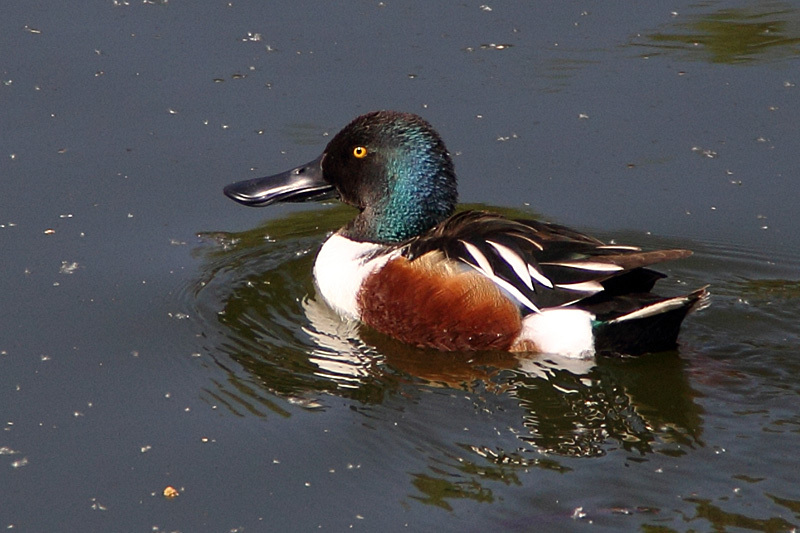 Here are some Great Egrets and a Northern Shoveler. 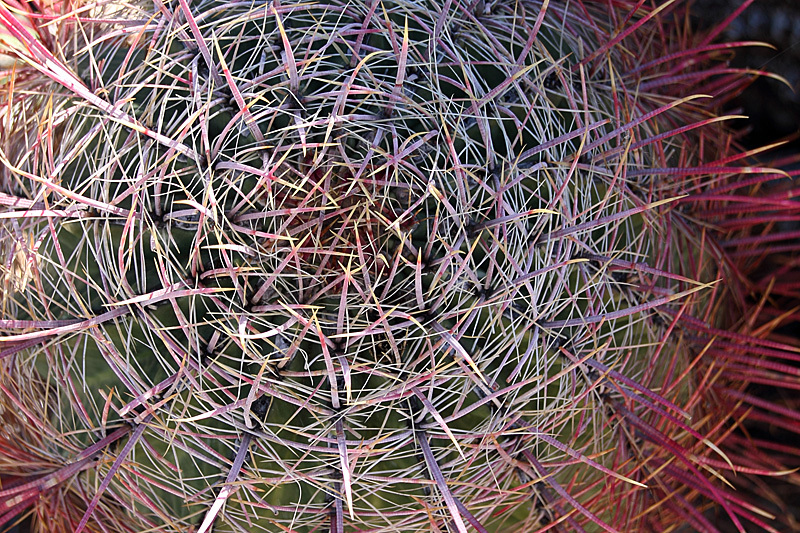 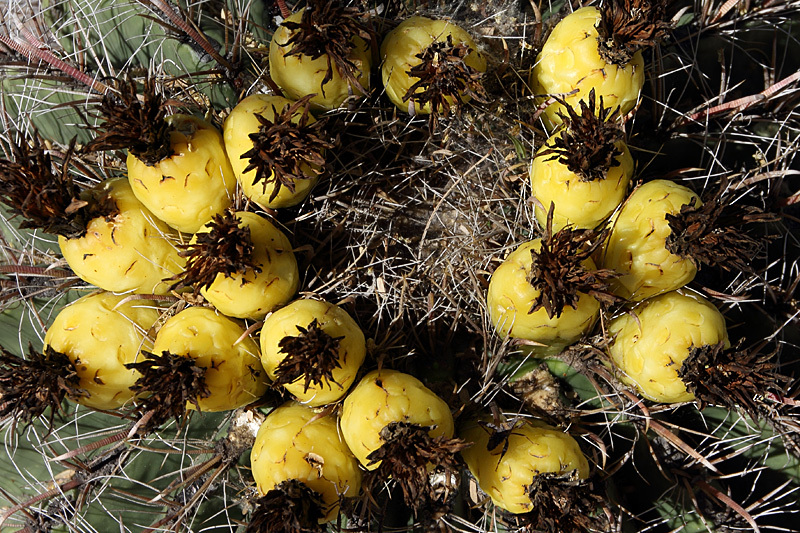 Also the top of a Barrel Cactus. 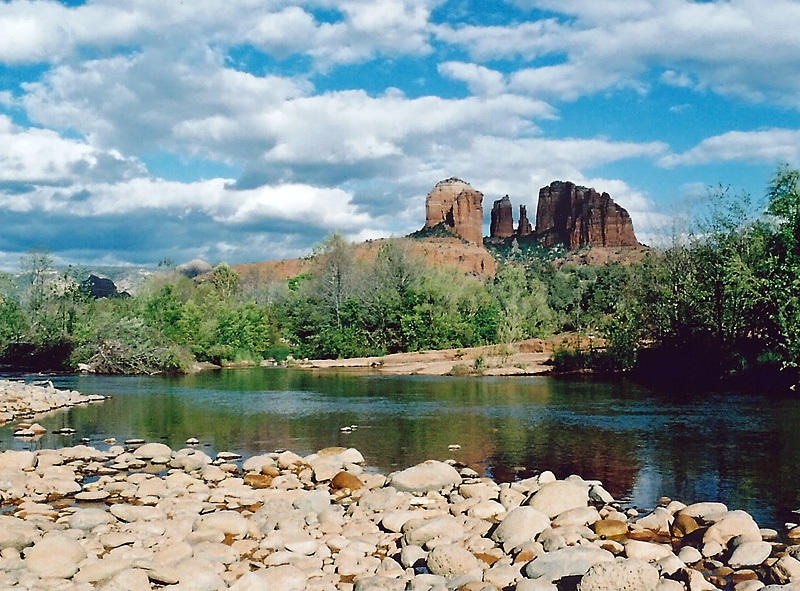 Probably the most photographed spot in Sedona is this view of Cathedral Rocks but there are plenty of other scenic views to be found. 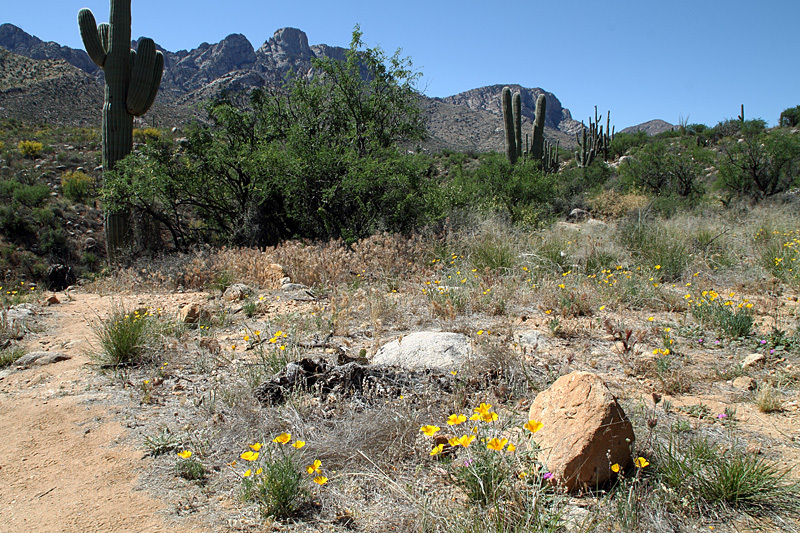 This view of the Catalina Mountains was seen on the easy 2.3 mile Canyon Loop Trail at Catalina State Park just north of Tucson. 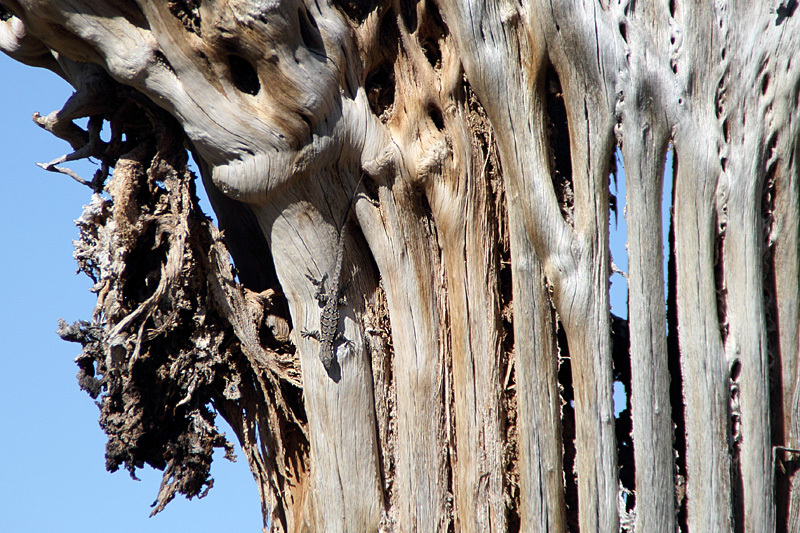 This lizard on a dead saguaro was seen on this trail also. 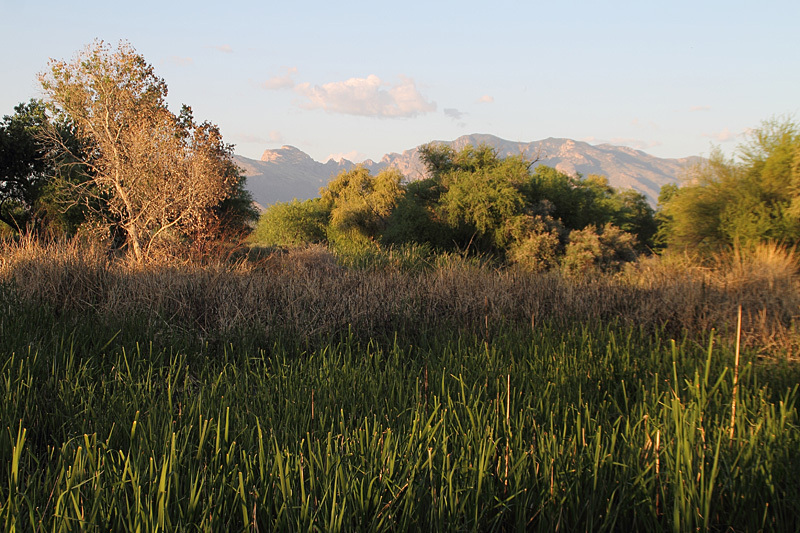 The 1 mile Birding Trail also has many excellent views. 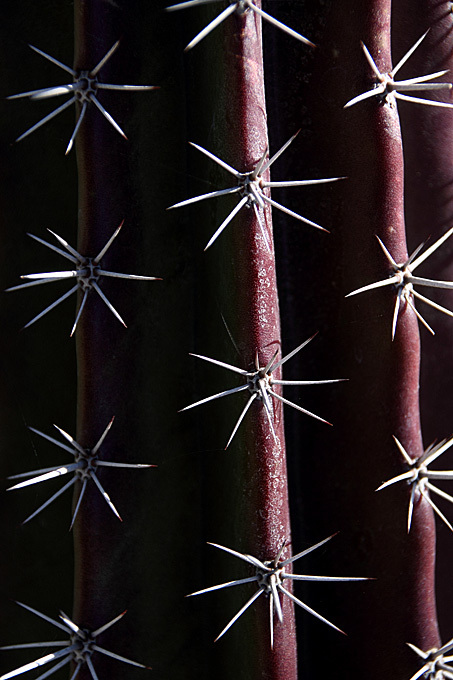 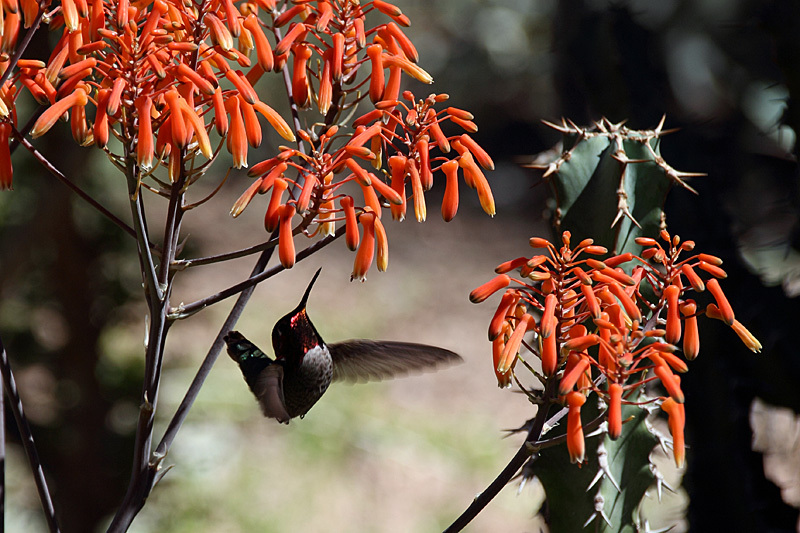 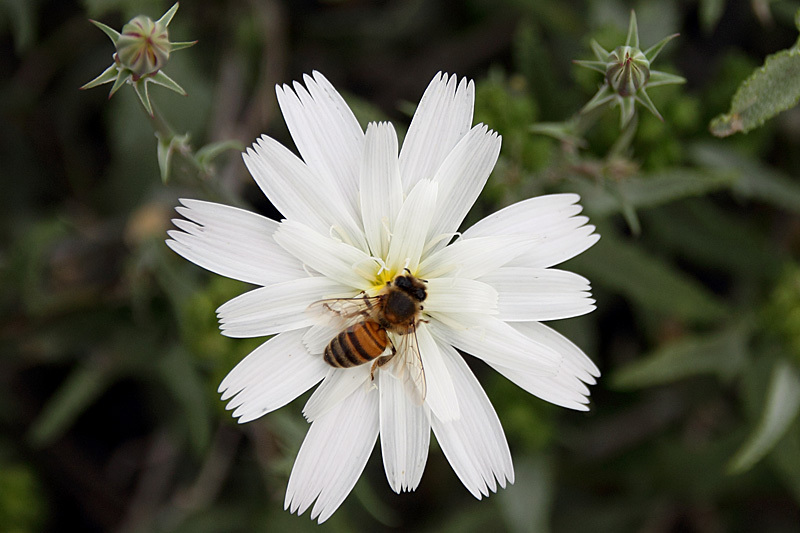 There are beautiful gardens at Tohono Chul Park in suburban Tucson. 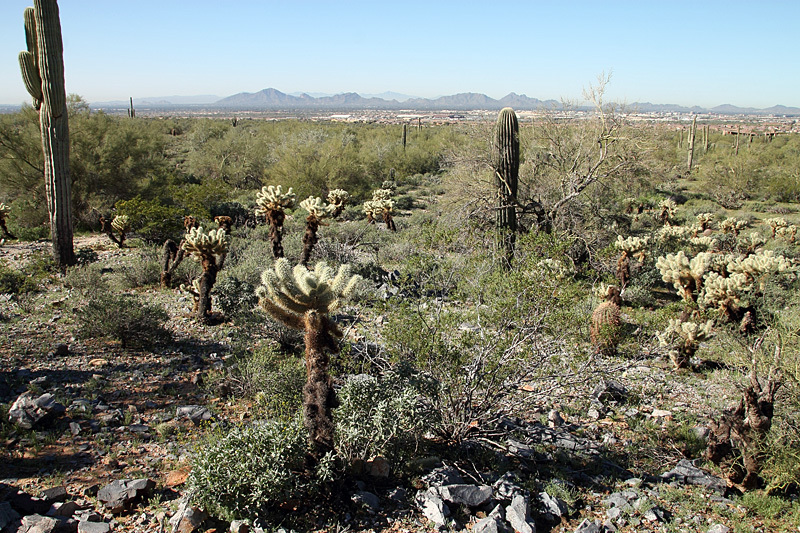 It's only 49 acres and surrounded by strip malls and industrial buildings, but you might completely forget this when walking on the 1/2 mile Desert View Loop trail. 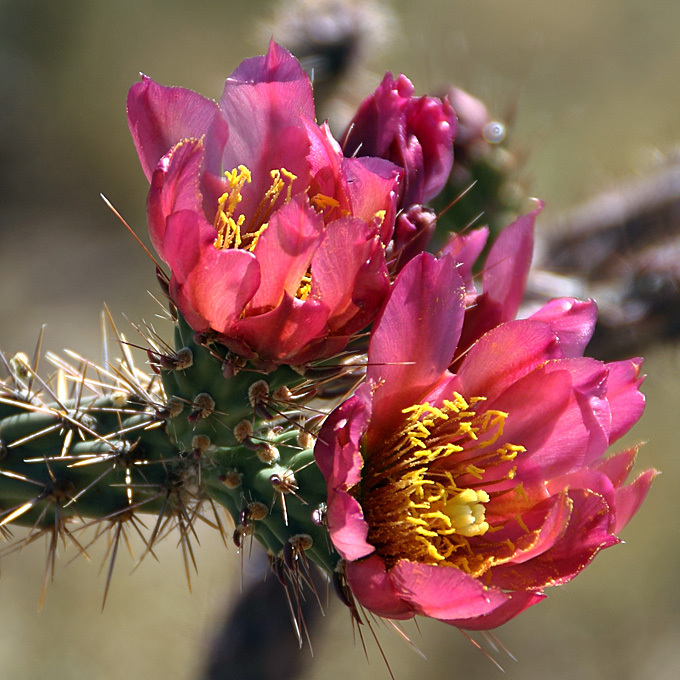 This blooming cholla was seen on that trail. 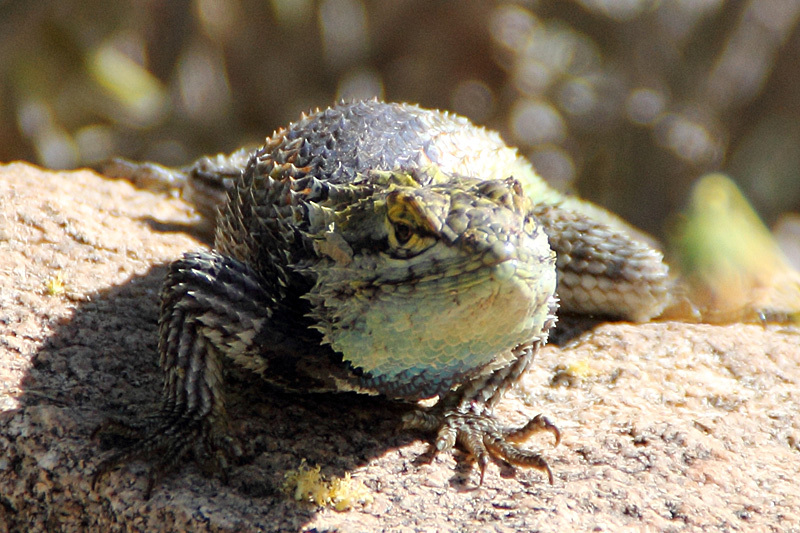 The Desert Spiny Lizard was in one of the gardens. 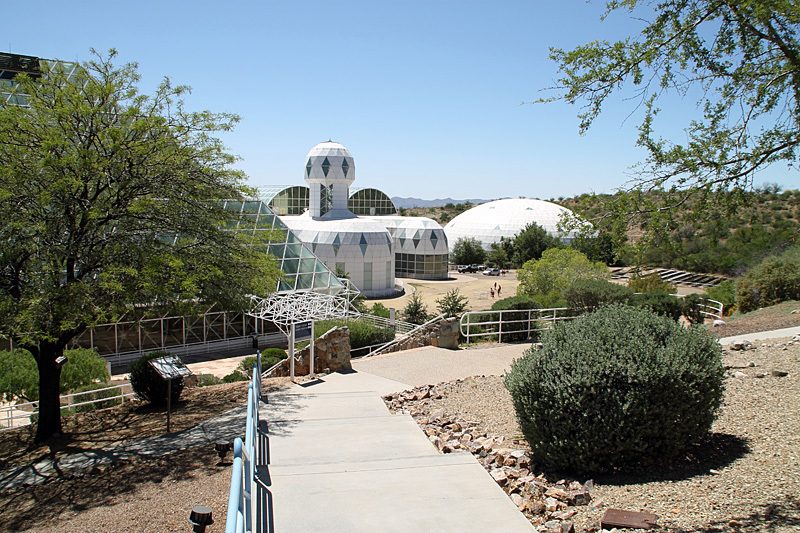 Biosphere 2 is a very unique place to visit and about 40 minutes from Tucson. 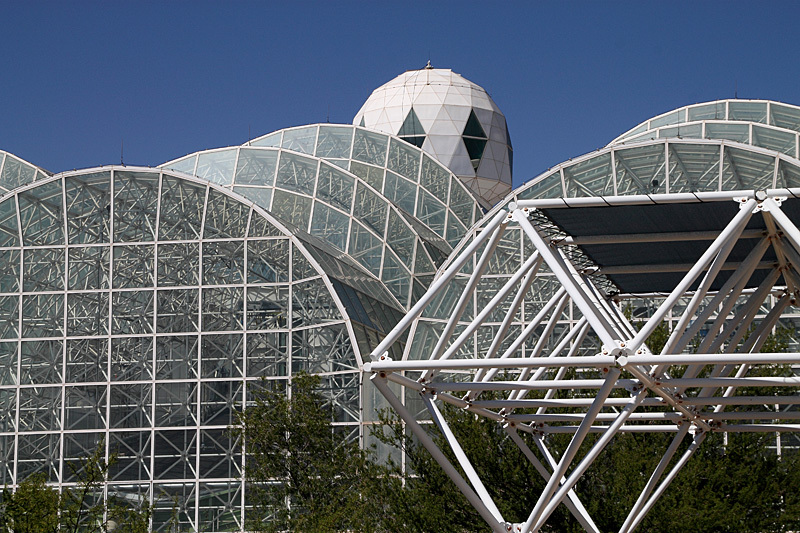 Give yourself at least 2-3 hours to see the grounds and take a tour inside the building. 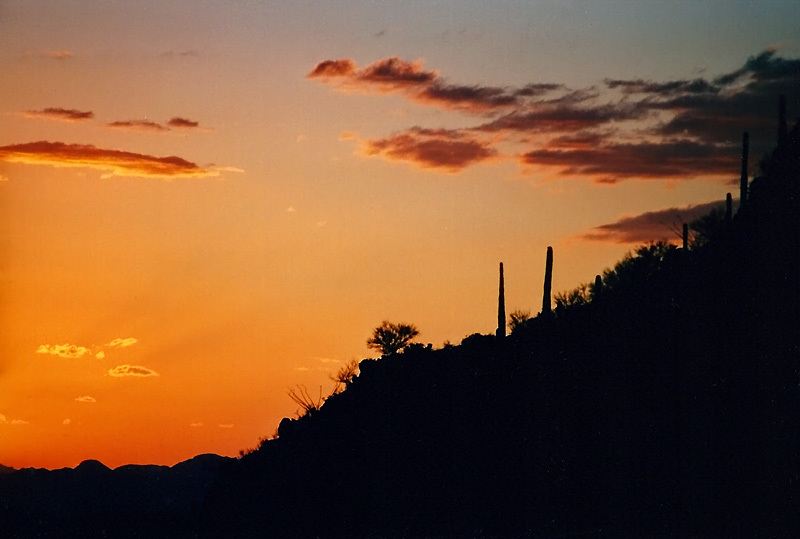 Just outside of Tucson, Gates Pass is where everyone goes to watch the sunset. 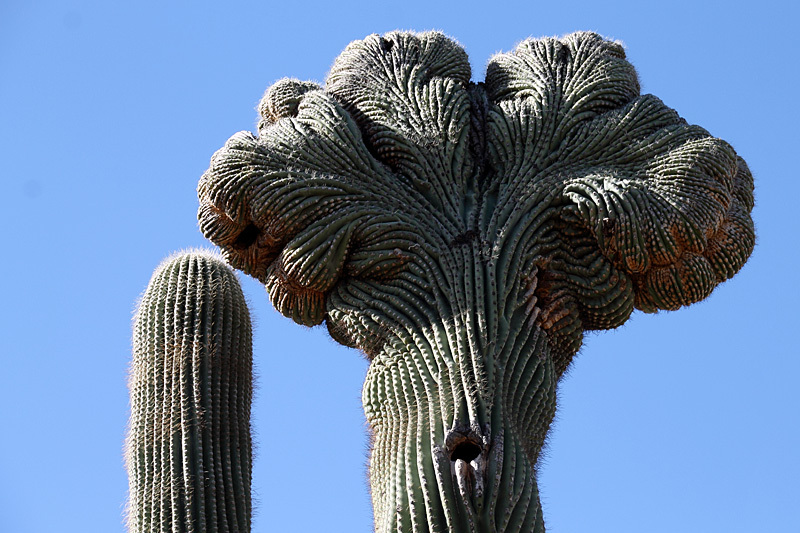 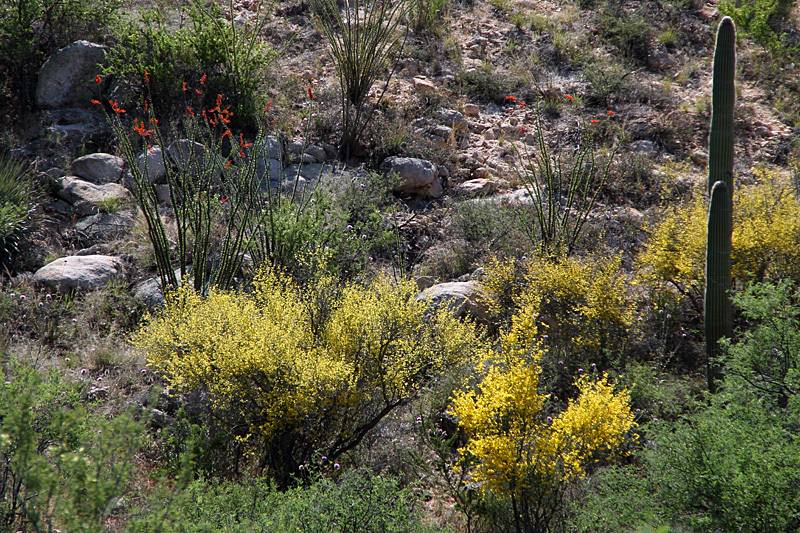 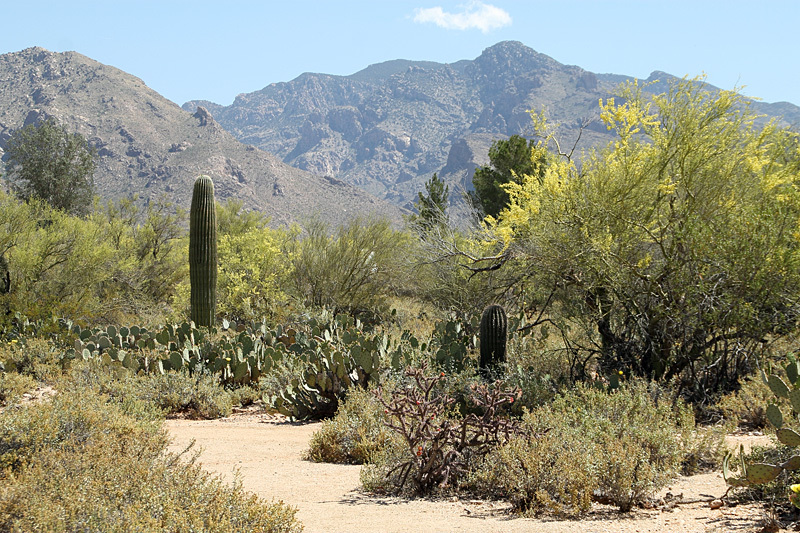 Boyce Thompson Arboretum is about an hour drive from Phoenix and well worth the drive. 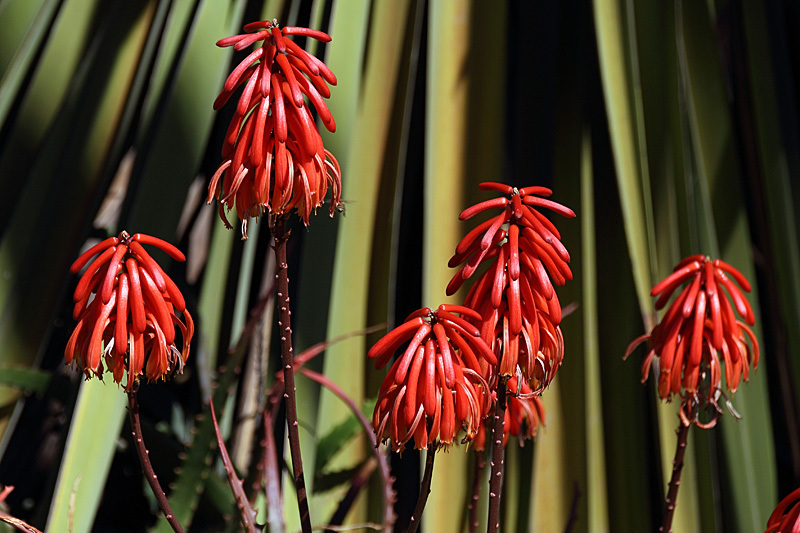 Here is some Aloe in bloom and a detail of a Cactus. 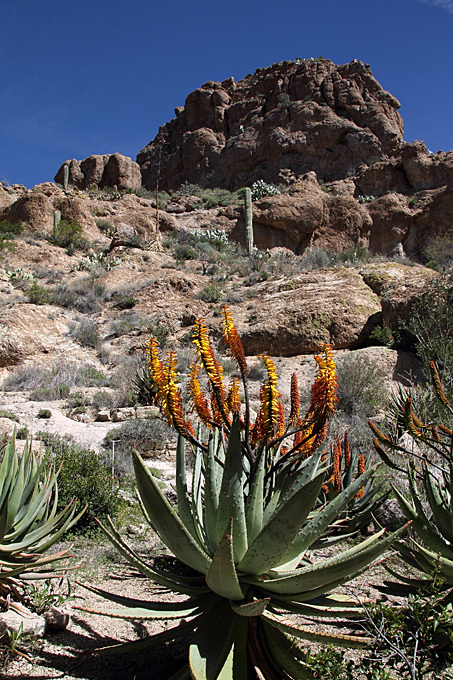 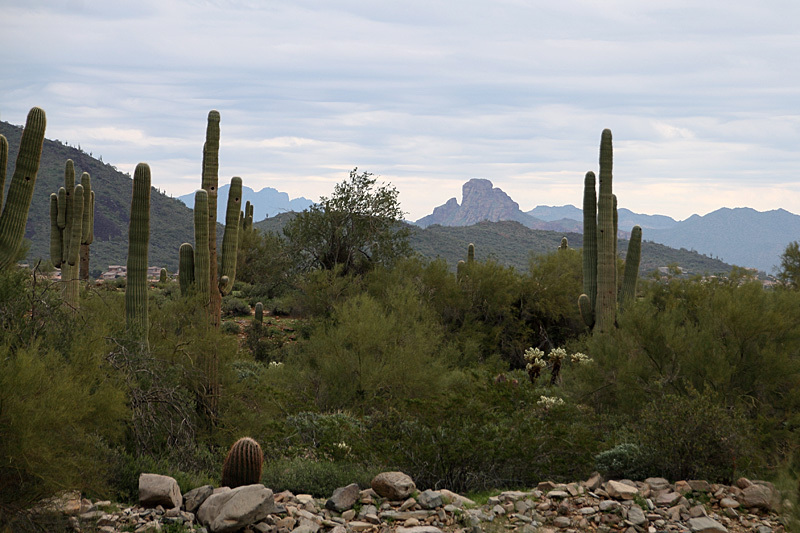 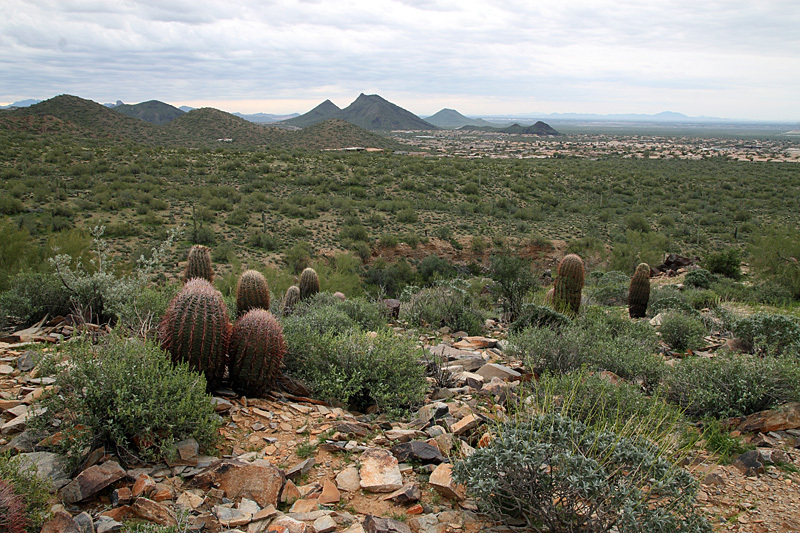 The McDowell Sonoran Preserve in Scottsdale provides many hiking opportunities both long and short. 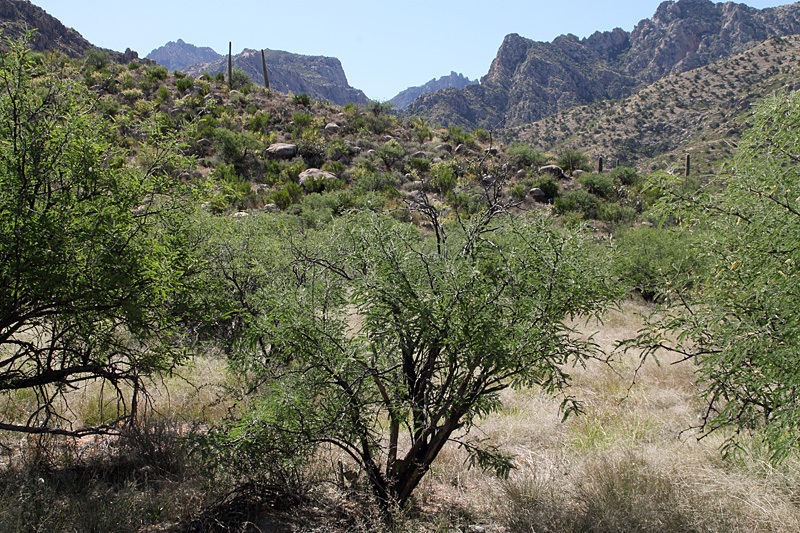 There's a short Nature Trail at the Lost Dog Wash trailhead where an easy loop hike takes you by Lost Dog Overlook. 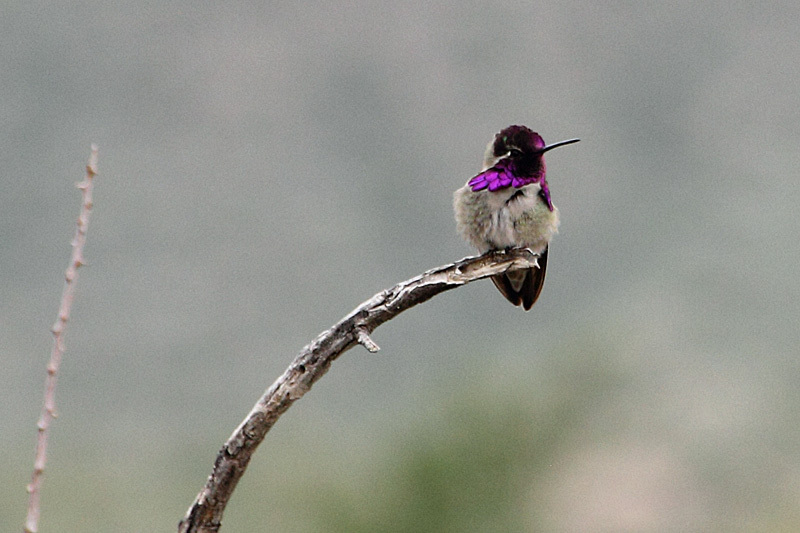 It was on that loop where I saw this Costa's Hummingbird and New Mexico Plumeseed. 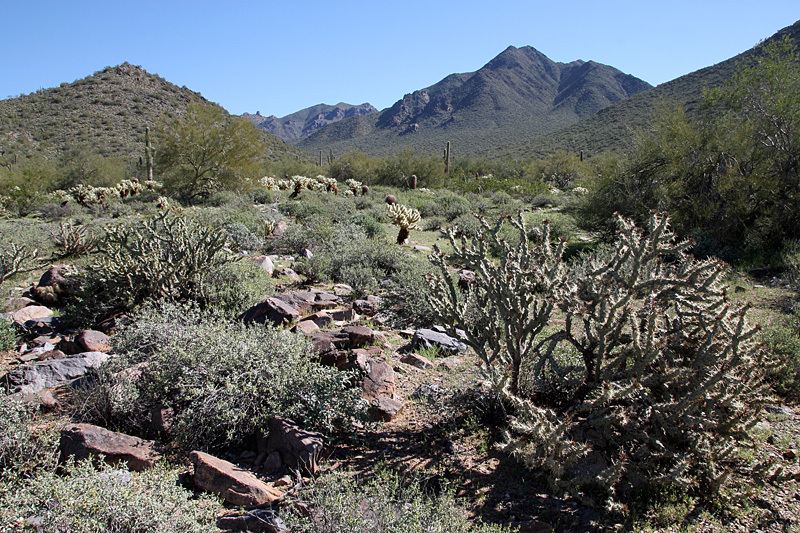 The Gateway Trailhead is probably the most popular and offers many long hikes, but a short loop can be created using the Desert Park, Horseshoe and Saguaro trails. 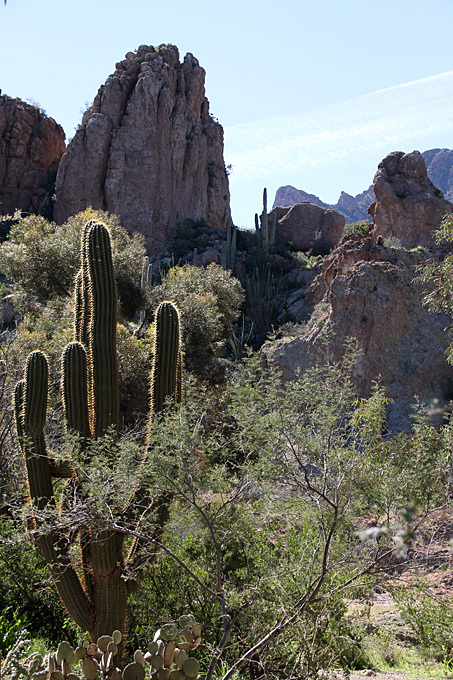 As you would expect, there are many Cactus along the trail. 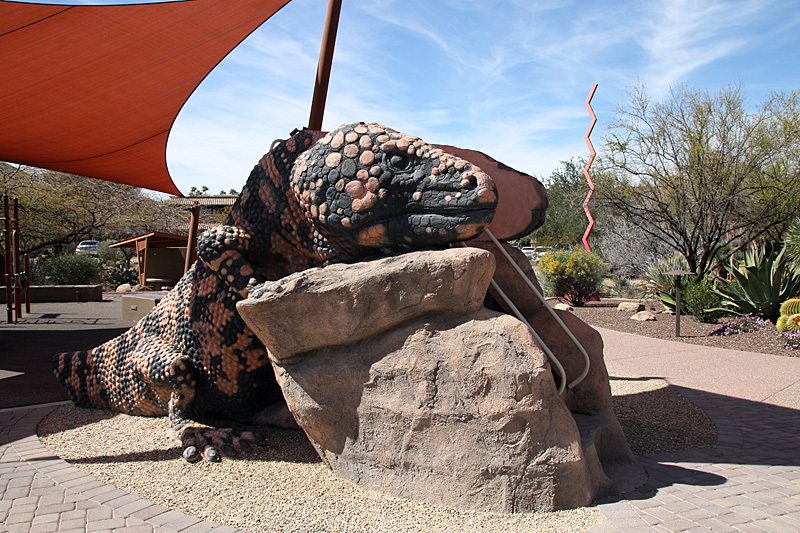 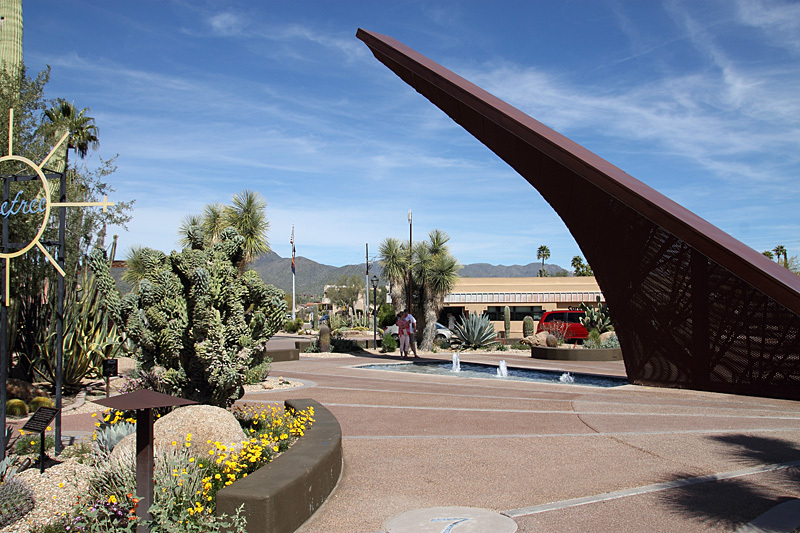 The town of Carefree is not too far from Phoenix and has an excellent botanical garden where you'll find the huge Carefree Sundial and this Gila Monster slide.